Dr Montgomery is a lecturer in ICT in the School of Technology, Environments and Design, based at the Sandy Bay campus. His primary research interest is in heuristic optimisation, including evolutionary computation. He also works in ecoacoustics, the use of sound to observe the environment, and is running a citizen science project named Birdsong where members of public can identify birds from their calls. James joined the University of Tasmania as Lecturer in ICT in January 2014. Prior to this he was a research fellow at Australian National University (ANU) (based at National ICT Australia's (NICTA) [now Data61's] Canberra Research Laboratory), designing and implementing a general purpose web API for delivering machine learning services; a postdoctoral researcher at Swinburne University of Technology, working on external projects in data analysis and his own research in evolutionary computation; and a student and sessional lecturer at Bond University. Deputy course coordinator for BICT, contributor to ACS Accreditation submission, unit coordinator for units with 200+ students and 4-5 tutors across two campuses, Brightspace (formerly D2L) expert, Hobart site coordinator for ACM International Collegiate Programming Contest. James has taught across a wide range of ICT subject areas, including beginner through to expert programming, software modelling and design, database development, web services and mobile applications. He developed the applications component of a discrete mathematics unit (KIT103), incorporating a full series of lectures, practical classes and assignments in Python, as well as the new, predominantly online software design units KIT206 and KIT506, which incorporate software design, implementation of a database-driven application in C#, and software testing. In 2017 he redeveloped KIT101 Programming Fundamentals to be competency- and portfolio-based to improve student learning outcomes and success rates. He uses web technologies to create learning materials that are easy to navigate and offer some degree of interactivity, such as embedded solutions to tutorial tasks. In semester 2019 James is unit coordinator and lecturer for Programming Fundamentals (KIT101) (semesters 1 and 2) and unit coordinator and co-lecturer for Computational Science (KIT103) in semester 2. Consultation times are available on the ICT Discipline site. Master of Information Technology and Systems. James's research aligns with the University's research theme of Data, Knowledge and Decisions. His research interests include the analysis of heuristic optimisation techniques applied to different problems so that each technique can be applied more effectively. He is particularly interested in the way that solution representation can influence how difficult a problem is to solve. James also applies these techniques to interesting and challenging problems, such as the automated design of RFID antennas and, separately, the optimisation of water usage to meet environmental health and crop yield objectives. He also works in the field of ecoacoustics, collaborating with colleagues from the Maths and Biological Sciences disciplines and organisations including NRM South, Tasmanian Land Conservancy, Sustainable Timber Tasmania and VicForests. This collaboration has led to the creation of the Birdsong citizen science web app, where members of the public can learn to identify a variety of bird species from their calls and then identify birds and other sounds in audio recordings collected in Tasmanian and Victorian forests. From his work at ANU he maintains an interest in the provision of machine learning services over the web. He developed a RESTful web API for delivering a variety of such services, a demonstration service and client. The sources for these demonstration implementations are available on GitHub. James is currently working with NRM South, Tasmanian Land Conservancy, Sustainable Timber Tasmania, VicForests and colleagues from the Maths and Biological Sciences disciplines to improve techniques and technologies for the analysis of ecoacoustic data captured in forests and other sensitive environmental areas. This includes the development of the Birdsong citizen science website. James also has active collaborations in a variety of optimisation projects with researchers in Australia (at Bond University, Griffith University, and Swinburne University of Technology) and in Canada, where he collaborates with Associate Professor Stephen Chen of York University in Toronto and Professor Daniel Ashlock from Guelph University. While at Swinburne University of Technology in 2006–2011 James worked with a number of research partners including GKN Aerospace Australia and the Attorney General's Department D Branch. During his postdoctoral appointment at the ANU he worked on a Linkage Project with Canon Information Systems Research Australia, where he developed a general-purpose machine learning web API that can be implemented by anyone, from a single machine learning enthusiast to a large machine learning service provider. James is currently working with NRM South, Tasmanian Land Conservancy, Sustainable Timber Tasmania, VicForests and colleagues from the Maths and Biological Sciences disciplines to improve techniques and technologies for the analysis of ecoacoustic data captured in forests and other sensitive environmental areas. The project's focus is on the identification of bird species from their calls, as the presence and distribution of species is a key indicator of environmental health and change. One component of the project is the citizen science website named Birdsong, where members of the public can learn to identify a variety of bird species from their calls and then identify birds and other sounds in audio recordings collected in Tasmanian and Victorian forests. Another part of the project concerns the efficient processing of the growing body of ecoacoustic data. One of James's PhD students has developed software for the efficient preprocessing of bioacoustics data to remove background noise and other intrusive sounds like cicada choruses. 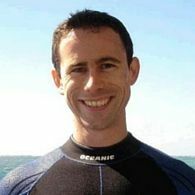 James has an ongoing interest in the automated design of RFID antennas, in which he collaborates with researchers from Bond and Griffith Universities in Queensland. This is a challenging multiobjective problem in which the design space is very large but the quality of each design takes some time to be evaluated through simulation. With those same external partners James has just begun a new project in the area of crop planning and water distribution networks. This work is in the early stages and they are looking for industry partners to work with. Together with other University of Tasmania researchers, James is also examining topics in the education analytics space, such as how credit may be automatically given for prior study (the process is currently manual and labour intensive), and how to identify gaps in students' knowledge that can be used to suggest remedial learning activities. James has published in a variety of forums, largely in the area of optimisation with heuristics and evolutionary computation. He reviews for a large number of journals and conferences in the field including the journals IEEE Transactions on Evolutionary Computation, IEEE Access, Information Sciences, Applied Soft Computing and leading conferences such as the IEEE Congress on Evolutionary Computation and the International Conference on Computational Science. James was part of a successful bid in Stage 2 of the Sense-T project to develop a knowledge management system for the viticulture domain. The project is shared between the Tasmanian Institute of Agriculture and the ICT Discipline. His postdoctoral position at Swinburne University of Technology was funded entirely through external collaborations and consultancy work. In one project, funded through the Auto-CRC, he partnered with GKN Aerospace Australia to develop a semantic search engine for their particular engineering. He also worked on two consultancy projects for the Attorney-General's Department D Branch. One was an investigation and report into how to visualise large-scale graph-like structures, while the other involved the design and implementation of an approach to identifying unusual coincidences in large-scale time-series data. This project creates a system of live knowledge management that integrates human observations of grape production with sensor-derived intelligence to constantly improve the quality and accuracy of variables predicting crop stages or those associated with grape yield and quality. The system will support better decision making by vineyard managers and winemakers about crop interventions and winery logistics. Not only will this tool strengthen the functionality of the Sense-T Stage 1 viticulture app, it will also facilitate users to collaborate and share data and knowledge for constructive advantage and entrepreneurship. This value-adding will promote technology adoption and sustainable expansion of the Tasmanian wine and grape industry.